An insightful and uplifting memoir about a young Haitian girl in post-earthquake Haiti, and the profound, life-changing effect she had on one journalist's life. Catherine found the girl the next day. Her family was a mystery; her future uncertain. Her name was Lovely. She seemed a symbol of Haiti—both hopeful and despairing. A Girl Named Lovely is about the reverberations of a single decision—in Lovely’s life and in Catherine’s. It recounts a journalist’s voyage into the poorest country in the Western hemisphere, hit by the greatest natural disaster in modern history, and the fraught, messy realities of international aid. It is about hope, kindness, heartbreak, and the modest but meaningful difference one person can make. This reading group guide for A Girl Named Lovely includes an introduction, discussion questions, and ideas for enhancing your book club. The suggested questions are intended to help your reading group find new and interesting angles and topics for your discussion. We hope that these ideas will enrich your conversation and increase your enjoyment of the book. In 2010, journalist Catherine Porter, a newly minted foreign correspondent with the Toronto Star, traveled to Haiti to report on the aftermath of the devastating earthquake that struck the country. She expected to record stories of the destruction and the complicated rescue and rebuilding efforts—she did not expect to fall in love with a place, a people, and one little girl who survived against all odds. Lovely, a two-year-old who survived six days under the rubble without food or water, touched Catherine’s heart, and when Catherine learned that Lovely had been reunited with her family, she did what any journalist would do and followed the story. The cardinal rule of journalism is to remain objective and not become personally involved in the stories you report. But Catherine broke that rule on the last day of her second trip to Haiti. That day, Catherine made the simple decision to enroll Lovely in school, and to pay for it with money she and her readers donated. Over the next five years, Catherine found herself returning again and again to Haiti, to Lovely and her family, and to the question of how to truly help another person—and of what it means to be a part of two families in two separate worlds. 1. When Catherine makes the decision to enroll Lovely in school, she is consciously choosing to cross the line of journalistic neutrality in order to help Lovely and her family. Why does journalistic neutrality exist, and what is it intended to uphold? How is Catherine’s reporting altered by her closeness to Lovely’s story? 2. Catherine remarks on the different t-shirts of groups she sees on the plane to Haiti and on the often-misplaced efforts of the “voluntourists” who sometimes do more harm than good. And yet, foreign doctors and caregivers helped to save Lovely’s life, as well as the lives of so many others in Haiti. What did this book reveal to you about “voluntourism”? Is there a responsible way to go about it? 3. 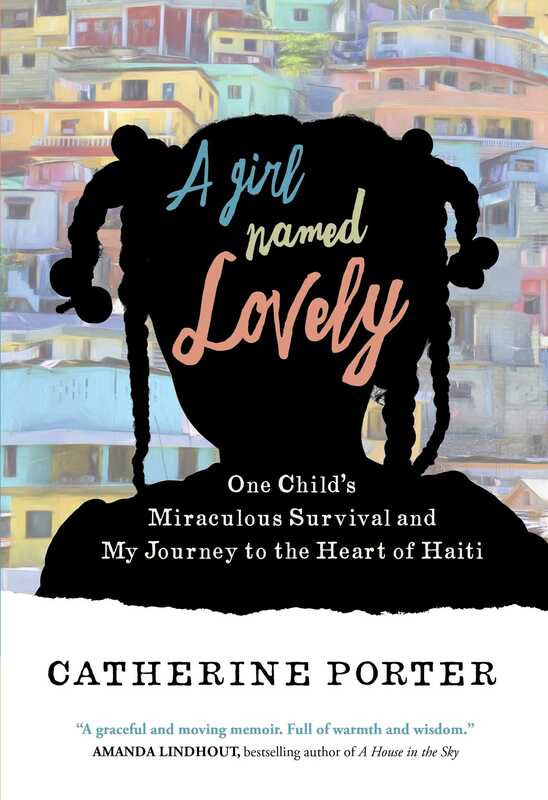 Throughout the book, Catherine mentions how she takes action to help Haitian children and families as a means of assuaging her guilt at seeing so much suffering. In explaining this decision, she brings up the story of Kevin Carter (page 63) to illustrate how distance from a subject can have a profound impact on journalists. Journalists profit from these instances of reporting suffering—Catherine herself advances in her career because of her work in Haiti. What is the ethical obligation of a human being exposed to another’s suffering? Is it mitigated by the broader mission of journalism? 4. While women still face sexism in North America, Catherine describes their much grimmer situation in Haiti (pages 105–106). How might the patriarchal nature of society in Haiti make life harder for a girl like Lovely? How will an education help Lovely to better her situation? 5. Nigel Fisher, the UN representative in Haiti, laments through the book that despite considerable foreign aid donations, “It’s so hard to get things done here” (page 162). Why is it difficult to use donations effectively in Haiti? What seems to be more successful in the rebuilding process—grassroots campaigns or large, multinational efforts? 6. The majority of international aid is funded by taxpayer dollars, meaning that organizations have to be accountable to countries who have contributed. From what you’ve read in this book, does that accountability exist? How do donors’ expectations align with the realities that affect the country in need of aid? Are there ways to more closely align charitable intentions with their impacts? 7. As a journalist, Catherine has a keen eye for detail. But when she first brings used clothing for Lovely’s family, she chooses items that are obviously too big for everyone. What hampers her perception? What other assumptions does Catherine make in the book as a result of her North American perspective? How did your position as a faraway reader impact the way you viewed Haiti and its people? 8. The book often addresses the conflict between wanting to help—either tangibly or through donations—and the frustration of having that aid lead to very little lasting improvement, which Catherine often worries is the case with Lovely’s family. What can we learn from Catherine’s careful decision-making process about how to go about giving aid? What does she learn about evaluating the results of charitable work? What constitutes a charitable success? 9. When Catherine returns to Haiti with Lyla in tow, she realizes that she has to learn to be a mother in Haiti—a very different person than who she is when she travels as a journalist (page 187). What does Catherine gain from this particular trip that she hadn’t from previous visits? Compare her role as a mother to Lyla and as a second mother to Lovely—how are they similar, and how are they different? 10. Catherine argues with her fixer Richard after she learns that he has taken a cut of a donation that another Canadian sent to buy land for a young boy’s family (page 228). Richard counters, “This is Haiti. This is how it works here” (page 229). Does our moral compass change when we’re in a corrupt system? When we’re in other cultures, must our ethics be absolute or are they flexible? Why do you suppose Catherine forgives Richard? 1. Decide on a cause that you all want to support and whether you’d like to raise funds or donate your time. Then do some research. For what purposes will your donation be used? How will the time you spend working on this cause directly benefit those you wish to help? Do your best to investigate what impact your contribution will have, then coordinate a donation or volunteer day together. 2. Look up some of Catherine’s recent articles about Haiti in the New York Times. Has Haiti “built back better” the way they intended to? What challenges do you see for Lovely, given the current state of the country? What gives you hope for her future? 3. Catherine learns a lot about Haiti and its language and culture through her many visits. Is there a language and culture that interests you? Research pen pal organizations with your book club and, together or individually, try writing to someone. You can practice a language you’ve been trying to learn or help someone abroad practice their English—and learn a lot about another place and culture in the process. Catherine Porter is the Canada bureau chief for The New York Times, based in Toronto. She joined the paper in February 2017 from Toronto Star, Canada’s largest-circulation newspaper, where she was a columnist and feature writer. 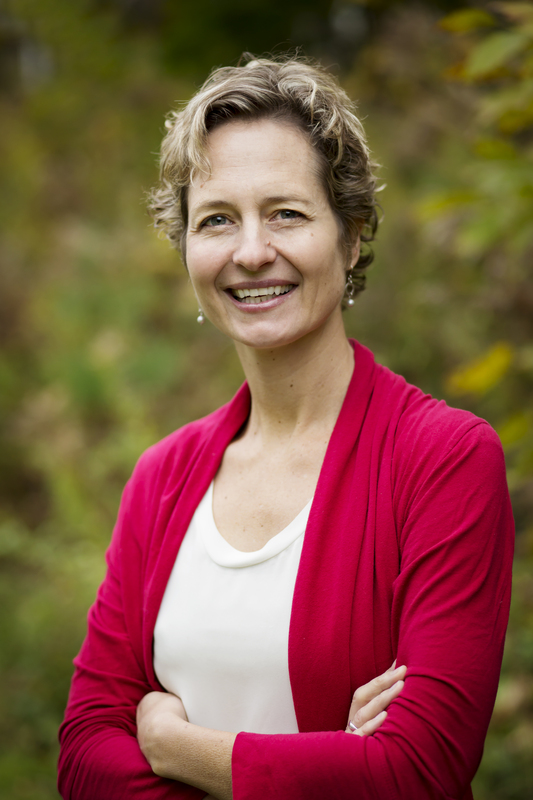 Catherine has received two National Newspaper Awards in Canada, the Landsberg Award for her feminist columns, and a Queen’s Jubliee Medal for grassroots community work. She lives in Toronto with her husband and two kids. Visit her at PorterWrites.ca or on Twitter @PortertheReport. – Bob Rae, bestselling author of What's Happened to Politics? "Powerful and searching, Porter’s book offers an unforgettable account of how one woman’s humanitarian gestures not only changed her, but also made a difference in the lives of people living in unimaginable misery. A movingly candid memoir about finding some measure of hope in 'the poorest country in the western hemisphere.'" "Porter has a gift for letting the people she meets tell their own stories in their own words, moving us to feel real joy and real dismay with Lovely’s family, and awe at the simple caring so evident in so many."